The Secret Diary of Steve Jobs : Al Gore: "iPhone is as profound as polio vaccine, maybe more." 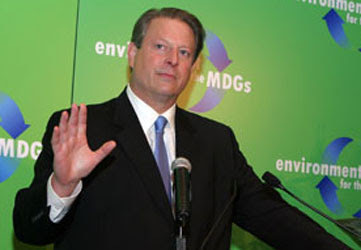 Al Gore: "iPhone is as profound as polio vaccine, maybe more." Money quote: “By combining three devices into a single device, iPhone will let us conserve energy and could reduce greenhouse gas emissions by as much as 30%.” See here.